The spring semester is coming in for a close, and summer is rapidly approaching with many events on the horizon. With many staying in the metro area and on campus for the summer, here are many opportunities to get out and enjoy all that OKC has to offer. In the heart of Bricktown lies the Bricktown Ballpark. The Oklahoma City Dodgers call this place home, and are scheduled to play 52 baseball games from when school ends till schools starts back up. They also offer many events that go along with the baseball games, so for more information go to okcdodgers.com. With live music on the rise in Oklahoma City, go check out your favorite artist at Oklahoma’s newest music venue, The Criterion. Many artists come through every summer, whether it’s at the Chesapeake Energy Arena or the Zoo Amphitheatre. For more information on concerts and what tour is coming through Oklahoma City next, click here. Food truck festivals have continued to boom in Oklahoma City, and some are happening monthly. Eat’s on Eighth and Harvey will be held on the last Friday of each month this summer, and will be a free, family-friendly event with pop-up shops, live music, live entertainment, community resources, the Kidz Zone, informational booths and great food. Visit travelok.com for more information. Looking for something to do in Bethany? The Bethany 66 Festival will be taking place on May 28, 2016 right across the street from SNU on Asbury Ave. The family-friendly event will feature food, downtown sidewalk sales, antiques, commercial exhibits and children’s activities. If you missed out on the Arts Festival in downtown Oklahoma City, then you are in luck, because the Paseo Arts Festival is happening May 28 to May 30. The annual arts festival will showcase some of Oklahoma’s finest artwork, as well as showcase some of the best musical talent Oklahoma has to offer. There will be food and many areas of opportunity to create your own master art piece. Peace, Love & Goodwill Festival, taking place on June 5, will be host to 27 food trucks, goods from over 40 pop-up shops and great live entertainment. The event will be held at the Myriad Botanical Gardens in downtown Oklahoma City. If you are into film, then this next event is for you. 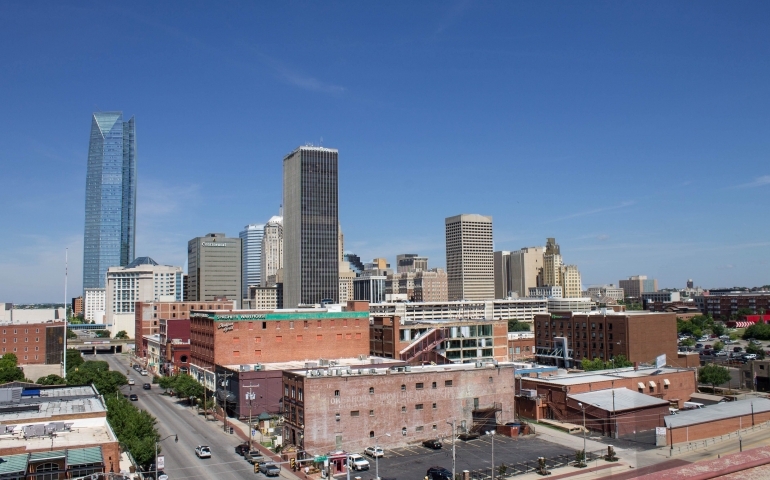 The deadCENTER Film Festival will be in downtown Oklahoma City June 8 to June 12. This event was put into the Top 20 Coolest Film Festivals in the World by MovieMaker Magazine, and is an independent film showcase that highlights over 1,000 indie films from around the world. The term “dead center” refers to Oklahoma City being in the “dead center” of the United States, so go celebrate the art of the screenings being showed in downtown OKC. Can’t get enough of food truck festivals? Hit up Edmond and check out Heard on Hurd on the third Saturday of each month. Located in downtown Edmond, there will be plenty of great food trucks to choose from, as well as entertaining live music. Get your cowboy or cowgirl boots on and go two-steppin’ at the OKC Fest in the heart of downtown OKC. Some of the biggest names in country music will be there, and you will not want to miss out. Check it out on June 24 to June 25. Slide the City OKC is a 1,000-foot slip and slide that will go through the heart of downtown OKC. On July 30, you can slide down the biggest slip and slide Oklahoma City has ever seen. There will be live music and food, and also included on the deal will be a drawstring bag, temporary tattoo and a mouth guard. There is a more expensive session that people can upgrade to that will include a hat and T-shirt, as well as many other options. For more information on summer events in OKC, or the events listed above, visit travelok.com.